It’s amazing how this project started with an old OC of mine: Sharon. She was always this twin-tailed cat girl, but wasn’t always the protagonist of the story. In fact, she was supposed to be the familiar of a witch and able to turn into a real cat!! And do you know where the idea of Sharon came to be? During a holiday at the beach, with my dad, in 2011. That’s right, 2011. We were joking around because my cat, Kiki, had to be looked after while we were on vacation. Every time I need to travel, I take Kiki to the breeding center (the place where she was born). The owner also happens to be a vet so I’m always at ease that Kiki’s in good hands. So, back to 2011, we left her at the breeding center. But then my dad made this silly joke: “What if Kiki learned to stand and talk like a human? What if she even cleaned the house with a broom and complained about the mess?” And I found the idea so funny that THAT’s how Sharon was born. She was a cat wearing a dress whose true form was that of a cat girl with twin tails. Also, being the witch’s familiar, she always made sure to clean up after her (the witch was bad with potions and usually made things explode, so you can imagine). And the name? 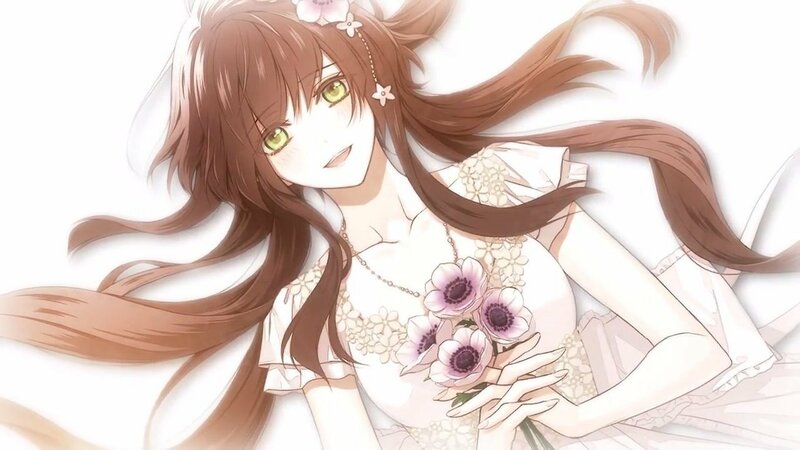 Well, at the time I was an avid follower of Pandora Hearts, and even though my favorite character in the series is Alice, I loved the name Sharon sooooo much that it stuck with me. That’s how Sharon first came to be. And it worked. I started thinking about making a small game (which is KEY, don’t ever make plans for an immense project when you’re just starting out, especially if you work alone) and remembered the witch’s story. But then I realized I loved Sharon even more than the witch protagonist so I told myself ‘why not make Sharon the main character?’ I just had to change some little bits about her past and build the new story around that. Then Tail Me was born. Yes, it took time. Yes, it took effort. But, after a few months, I finally managed to complete it and couldn’t be happier. As silly as it sounds, it’s 100% true. You can’t wait for inspiration to magically appear out of nowhere. To finish something, you have to work on it. It’s effort and discipline that makes you complete a project, not ‘talent’ nor ‘sudden bursts of inspiration’. Even Ishimaru from Dangan Ronpa thinks the best way to achieve good results is by working hard. And, believe me, it’s so much more rewarding when people congratulate you for something you made with love and dedication than for something you barely cared about. It’s also important to never give up. Easier said than done, I know, but seriously, don’t give up on your dreams, ever. Work hard to do what you love because you’ll get there. And you’re not alone. If you really love what you’re doing, you’ll manage to make your dream come true. You can do it. Hang in there and smile! Anterior Why I’m done with Voltage Inc.
Congratulations! I hope lots and lots of people gets to enjoy this masterpiece of yours!